Whisk the warm water, sugar and yeast together in a bowl. Let stand in a warm place for about 10 minutes, or until the yeast is foamy. Combine the flour and salt in a bowl of a stand mixer fitted with dough hook and mix well. Add the yeast mixture and oil, mix well. Continue to mix, until the dough is smooth and elastic. Transfer dough to a floured surface and give it a few turns by hand to finish kneading it. Transfer the dough to a large oiled bowl, tuning to coat. Cover with kitchen towel and let rise in a warm place for 1 to 1 1/2 hours, until doubled in size. Heat 1 tablespoon of oil in a skillet. Add sliced onion and cook over medium heat for about 10 minutes. Add balsamic vinegar, mix well with the onion. Continue cooking for another 5 minutes, stirring occasionally, until the onion is caramelized. Transfer to a bowl and set aside. 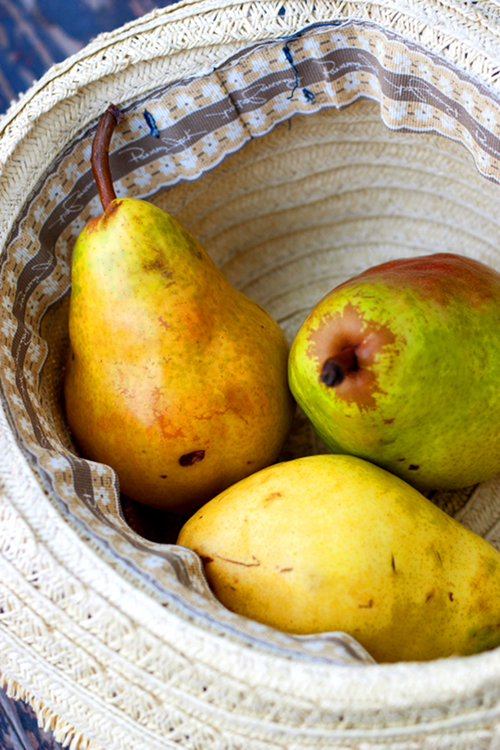 Add sliced pears onto the same skillet and cook until they are tender. Remove from heat. 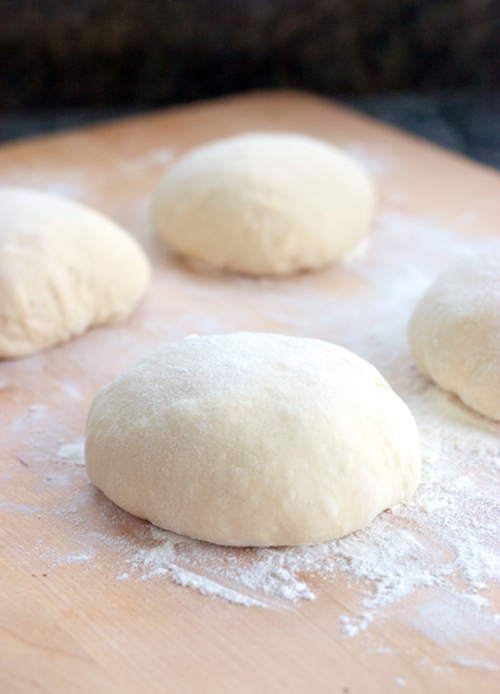 Preheat the oven to 500 degrees F. Punch down the dough and transfer it to a floured surface. Stretch dough into 2 rectangles, as thin as possible. Sprinkle cornmeal onto baking sheet (or pizza stone) and place stretched dough on the sheet. 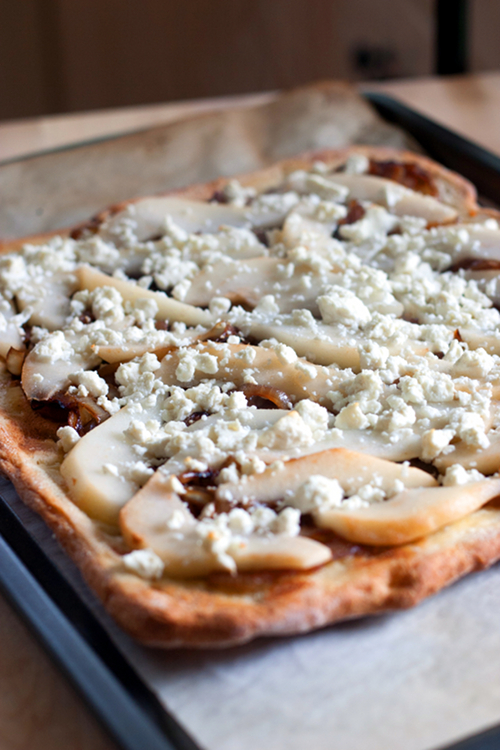 Brush the dough with the remaining olive oil, spread the onions, followed by sliced pears. 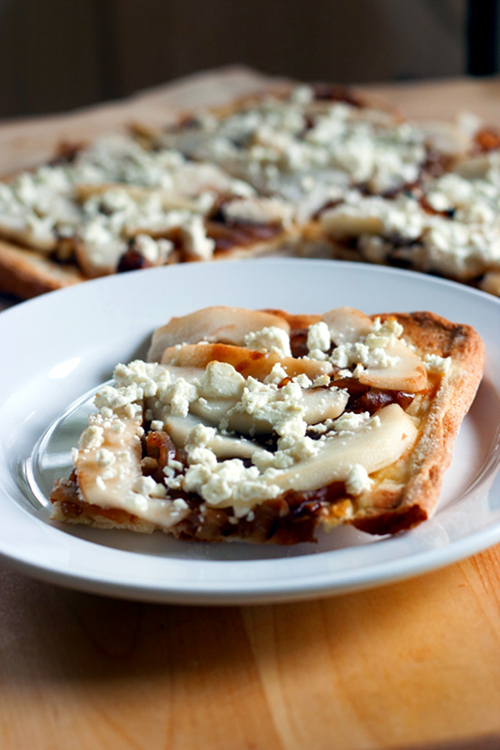 Spread feta cheese over the flatbread, and sprinkle with chopped rosemary. 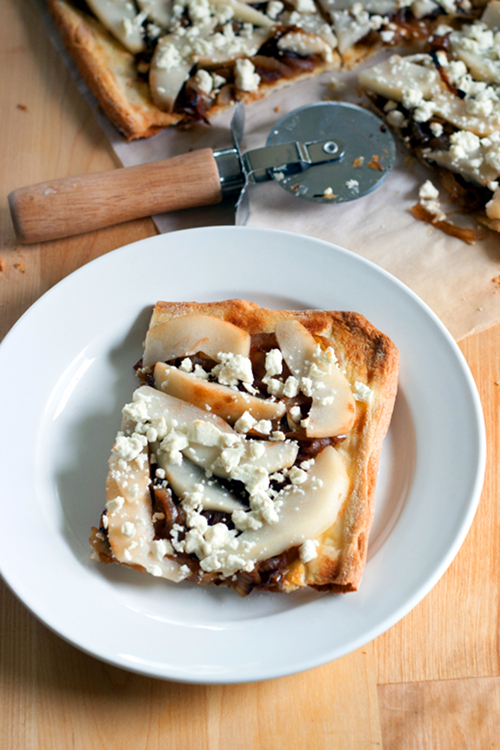 Bake flatbread in the oven for about 10 minutes, or until the crust turns golden brown. Remove from the oven and slice into sections. Serve warm. this looks DELISH! look forward to making it soon.